I found this painting at the entrance to the park--so fun! What better place to start my visit to Lake Lure than at one of its most well-known attractions? 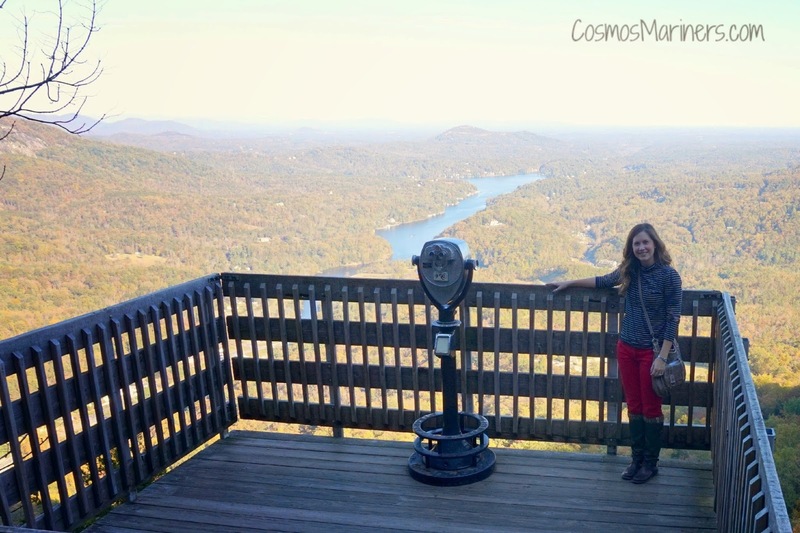 Even though Chimney Rock has been open for business for over a hundred years, it made it on my #thenewlakelure itinerary because it went under new management in 2007. Well, that and because it has some of the most gorgeous views in the area. So, back to what I was saying. 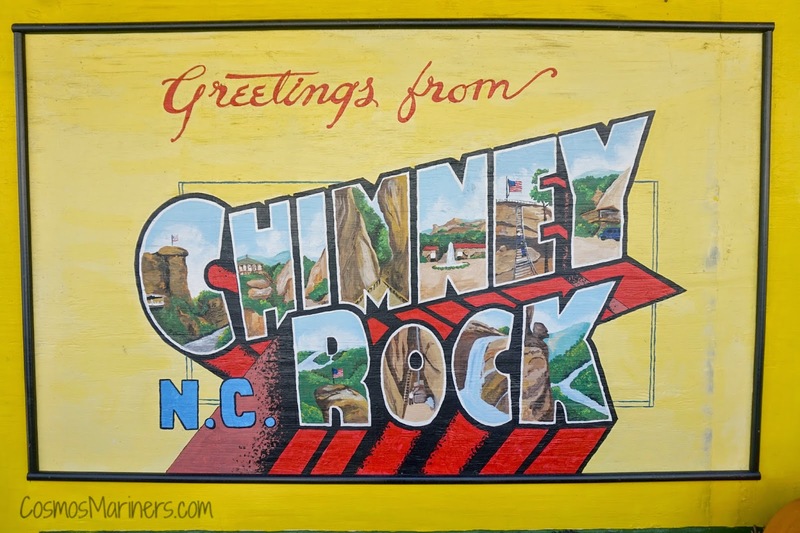 So many people, my dad included, had visited Chimney Rock twenty or thirty or forty years ago when the Morse family owned the park. 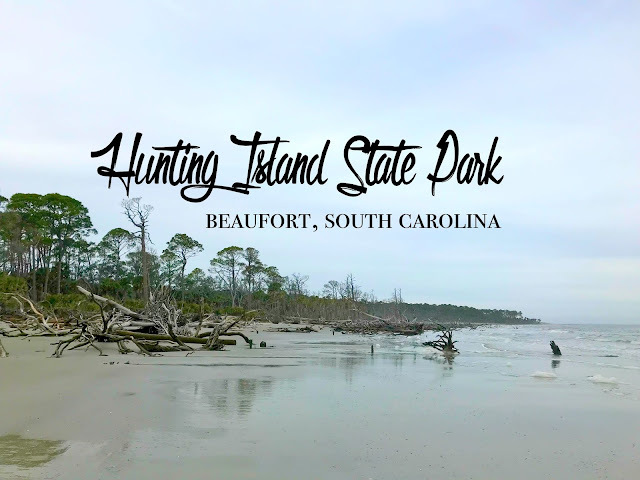 In 2007, the state of North Carolina look over ownership and has been busy making the park even more awesome in the years since. 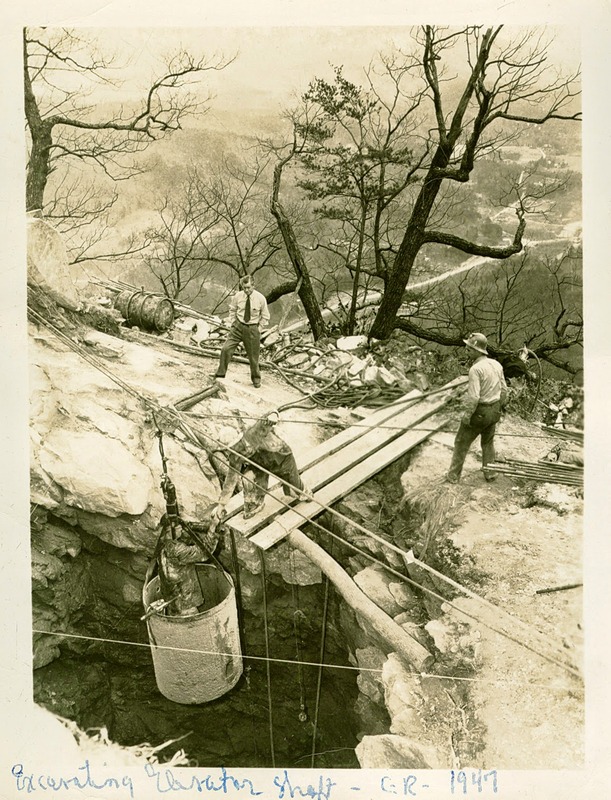 By the 1940s, business was booming, and Dr. Morse wanted to create a way for visitors to more easily get to the spectacular views that Chimney Rock had to offer. So, he did was anyone would do, and ordered a 26 story elevator shaft be blasted through solid rock. That same shaft still carries visitors up to the sky bridge and main observation point (though, don't worry--the elevator has been updated since then!). 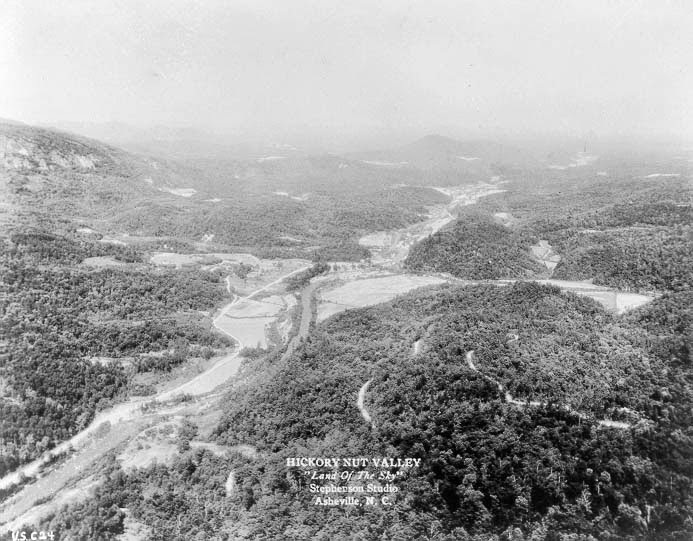 Dr. Morse knew that his park was something special, but it was his wife who had the most impact on the area: she was the one who suggested that Lake Lure be added. 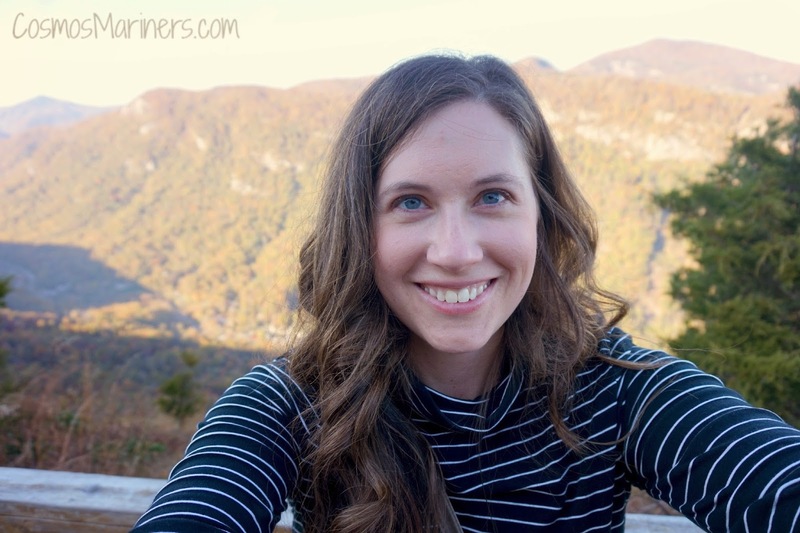 She named it, too, choosing Lake Lure since she thought the view was so alluring. For your viewing pleasure, here's the famous view before the lake was added! One thing that has changed drastically with the advent of insurance and the like are safety measures around the park. 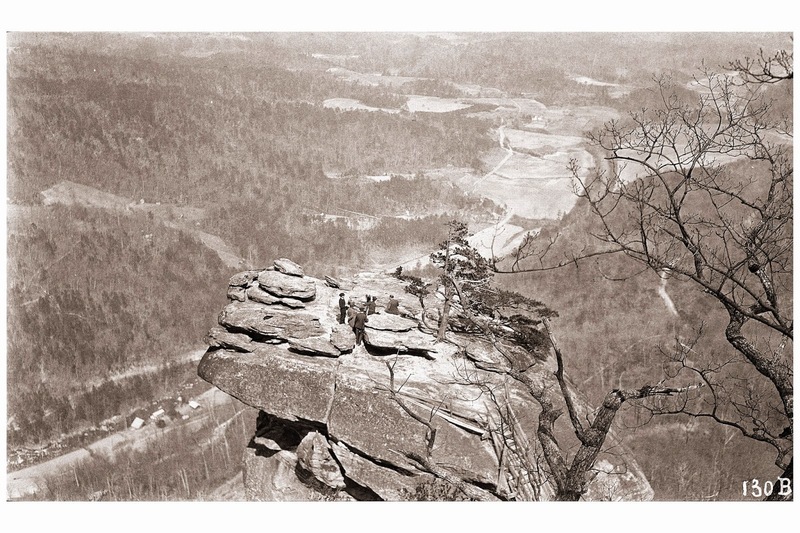 Way back in the day, visitors would climb up to the 315-foot-tall Chimney Rock (which stands over 2,200 feet above ground) using a ladder. A LADDER. My poor heart hurts just thinking about that. Luckily for my heart and general safety, there's now a much sturdier wooden staircase up to the area and a fence surrounding the top of the rock. It's still daunting to look down over the fence's edge, but at least there's more between me and the earth than some sky! 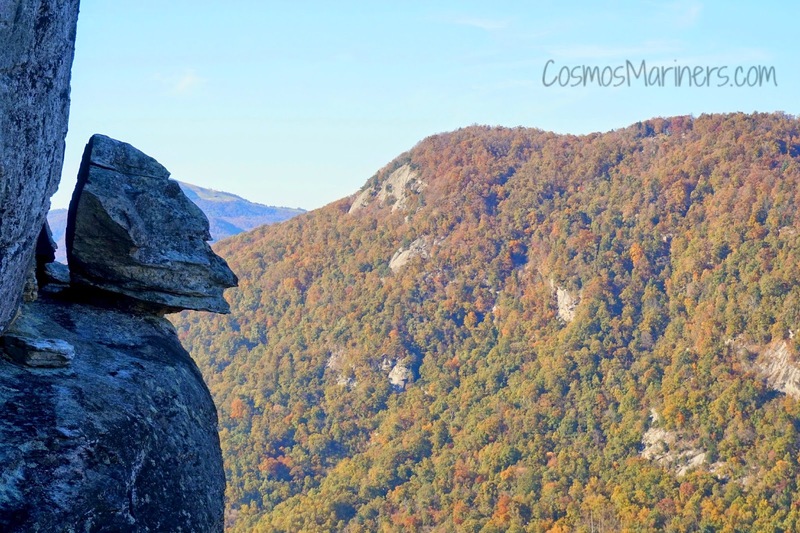 While Chimney Rock is the part of the park that most people know of, there are several other not-to-be-missed areas as well. The Opera Box has some gorgeous views of Chimney Rock and Lake Lure (which now looks as if it was always there--great call, Mrs. Morse!). 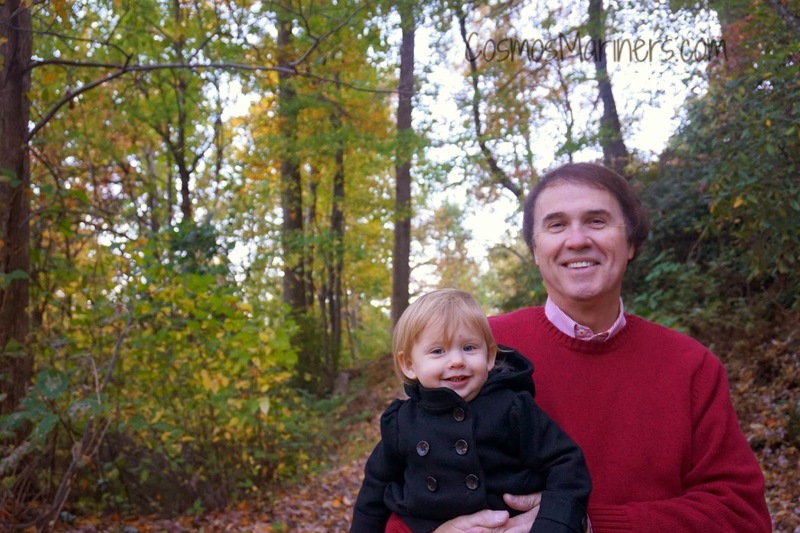 My dad, Britton (my toddler), and I made it up there to take a few pictures. And parents, let me tell you: it's totally possible to bring your child's stroller up to this level. The only places that I wasn't able (or willing) to haul her stroller was up to Exclamation point and the Devil's Head rock...and that was solely because of the number of stairs to both of those sites. 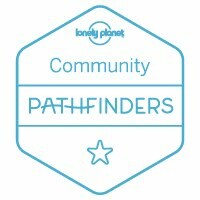 If you have a child that's 3+ and can walk with more coordination than my 17 month old, then the park's yours for the taking, as it's very kid-friendly. I know it's just a rock, but it's one of those things that makes you do a double take and think, "How in the world did this happen?" And the piece de resistance: Exclamation Point. I'm sure it's called Exclamation Point because when you get up there you'll be full of exclamations: OH MY GOSH THIS IS SO PRETTY WHY HAVEN'T I BEEN HERE BEFORE?!?!! After adventuring up and down the mountain, we headed down to see what else we could discover. First, we looked for some bats in Gneiss Cave, located just around the corner from the top section of the parking lot. It's a fissure cave, which means that it's not very big--and which means that it can easily make a claustrophobic person uneasy. 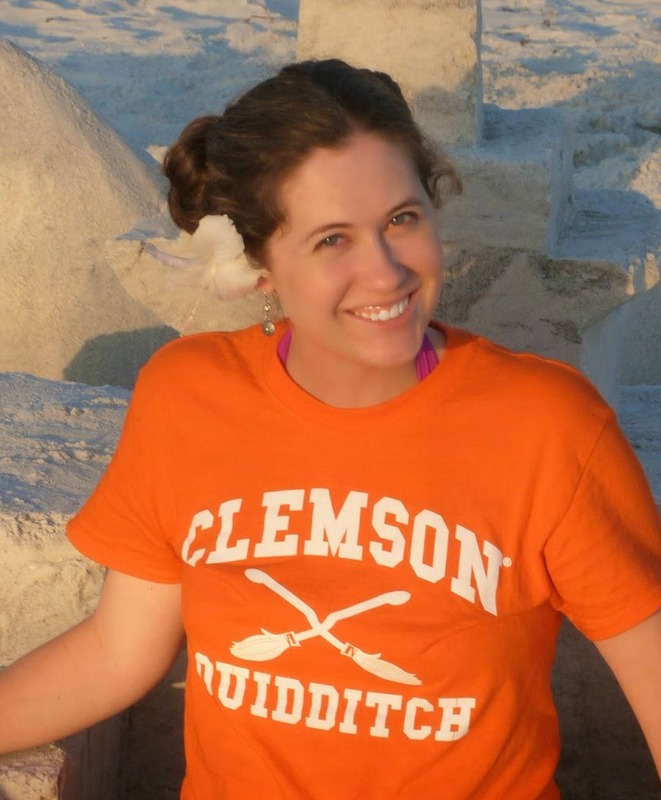 But I was super brave (all for the sake of the blog!) and was really glad I decided to head in. It was SO neat in there! P.S. We didn't find any bats, but we did discover the fact that the cave has a long history of being moonshine making location. Second, we decided do a little hiking. 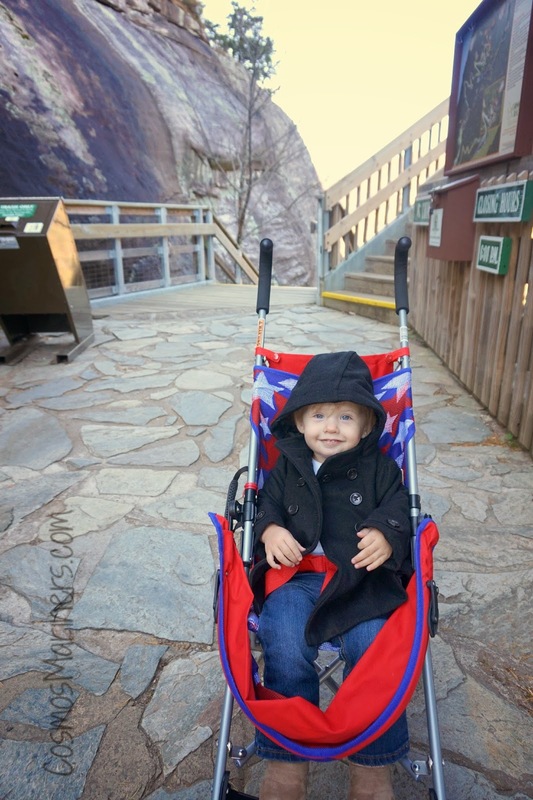 While we didn't make it all the way to Hickory Nut Falls--Britton's tiny little legs can only go so fast, and at our best rate, we'd probably have made the journey there and back in about three days--it's the second highest waterfall of its kind east of the Mississippi. The trail's really easy, and most older kids and adults could reach the falls in about thirty minutes. Finally, we stopped by to visit Grady the Groundhog, the park's mascot. He was taking a nap, but Britton still had fun waving to him anyway. Grady and his other friends in the Animal Discovery Den are a hot spot for the younger visitors to the park. 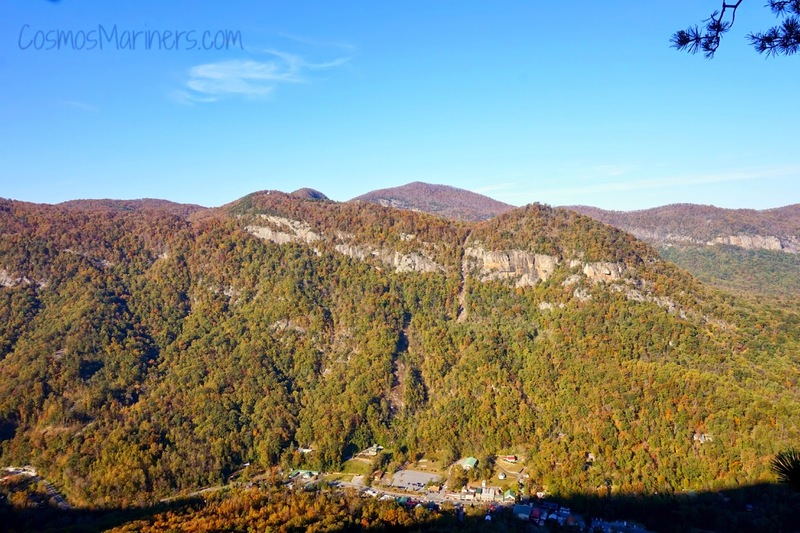 All in all, Chimney Rock is a great place to visit when you're in the Lake Lure area. You could easily make a day of it: there are a bunch of picnic spots, or you could eat at the Sky Lounge Deli. The park is open year-round every day other than Christmas Day and Thanksgiving Day. 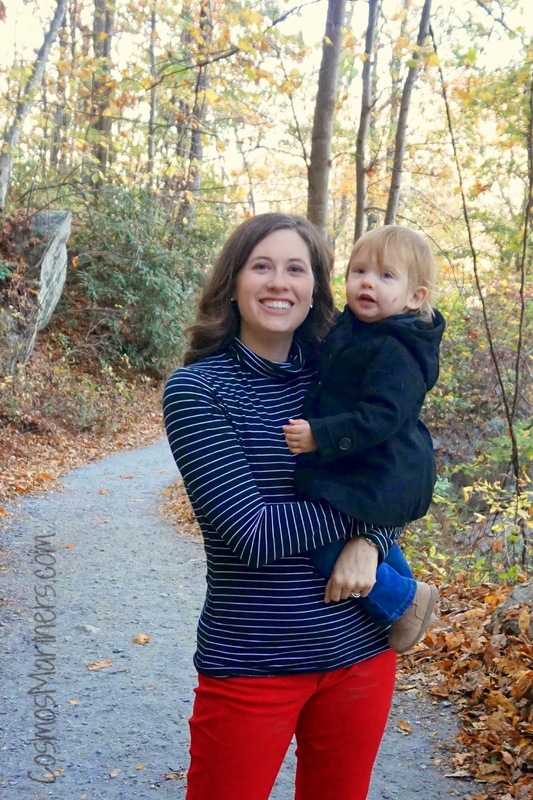 A special shout out to Shannon for leading my dad, my daughter, and I around, as well as answering all of my questions and sending over the amazing vintage photographs of Chimney Rock! 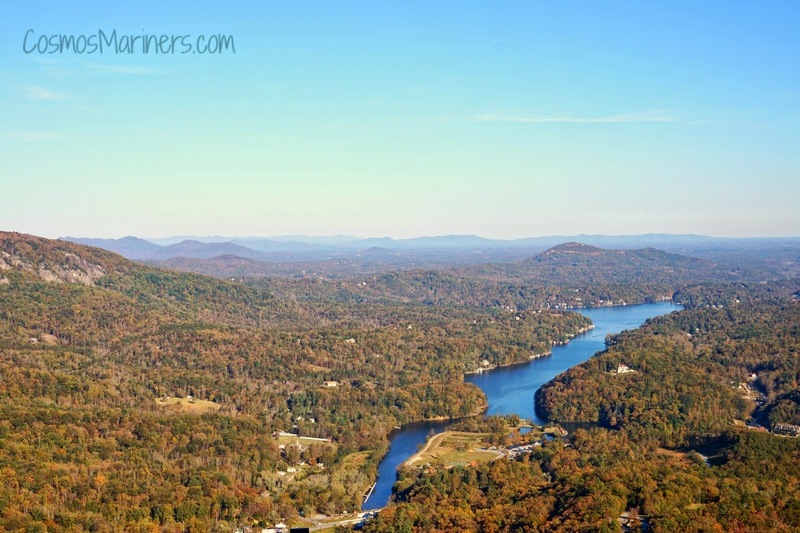 If you need any more reasons to visit the area, check out my 10 Reasons to Visit Lake Lure post. Would you be brave enough to climb a mountain attraction without any railing? 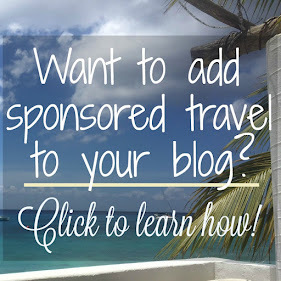 Where's your favorite fall vacation spot?